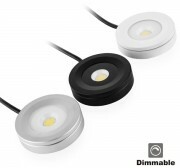 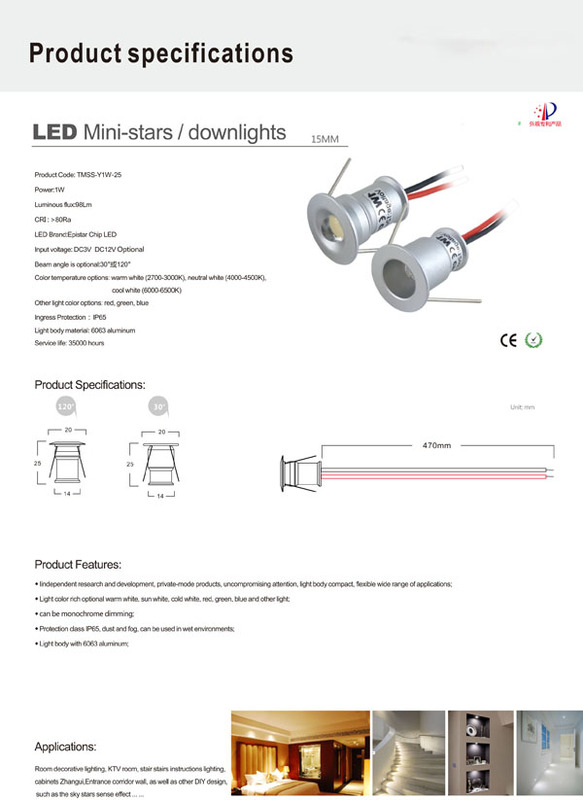 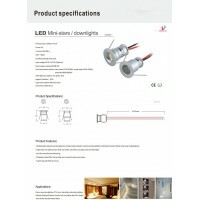 Mini LED recessed downlights are perfect for interior decoration, such as cabinet lighting,shelf lighting, bar lighting, trade show lighting and safety lighting for steps, stairways, and hallways. 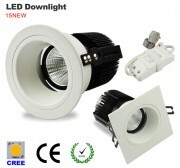 The compact LED fixture easily flush mounts in a 0.591'' hole with attached 304 stainless steel retainer clip. 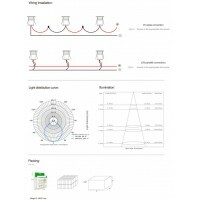 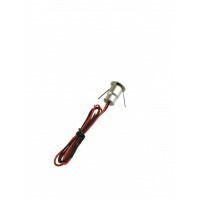 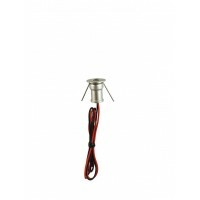 each light has two standard of 470mm length of red and black silicone wires. 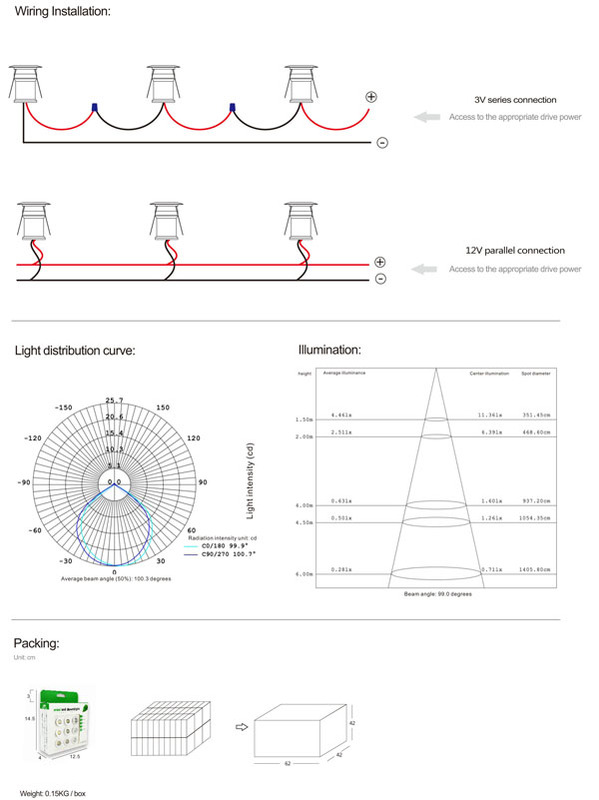 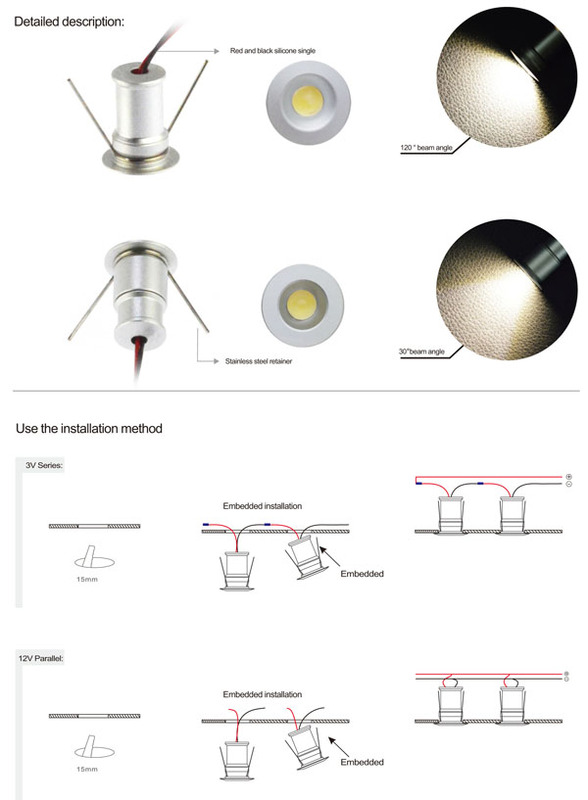 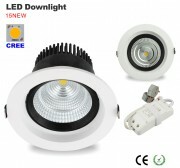 A single led recessed down light emit up to 98 lumens and creat a narrow spot or wide flood beam pattern of warm white, cool white and natural white illumination. 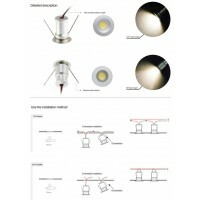 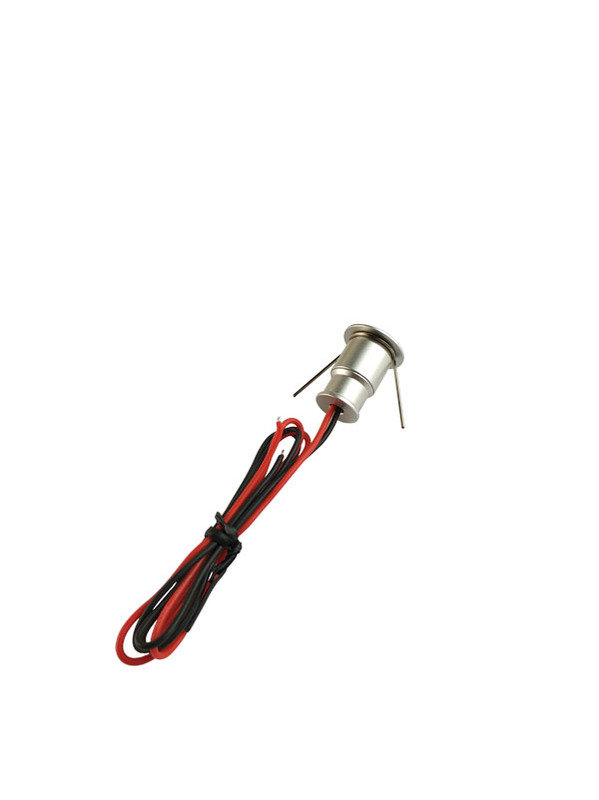 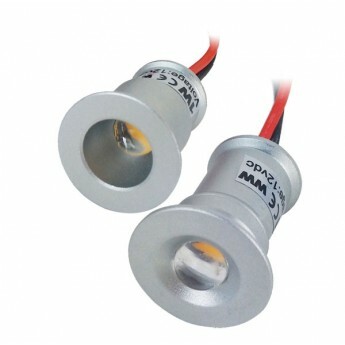 This weatherproof LED accent light use only 1 watt of power, has 3V / 12VDC operation and 6063 aluminum as heatsink material.